What makes Muck Boots so great? Simple - it’s all in the design. 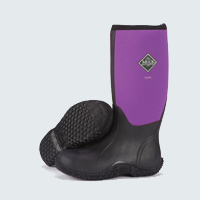 All Muck Boots are 100% waterproof, keeping feet warm, dry and protected in harsh weather and messy working conditions. The secret – our exclusive, self-insulating, waterproof CR-foam shell construction. The CR-foam bootie material acts as a “neutral medium” between inside and outside temperatures. 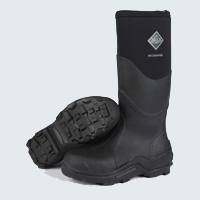 Naturally lightweight, and very comfortable, the material keeps the foot and lower leg warm and protected in cold and wet conditions.